This is a very beautiful crystalline gold nugget specimen from the Mockingbird Gold Mine in the Mother Lode Region of California. The color of this crystalline gold specimen is gorgeous and if you look at the shape it is shaped like a duck sitting on top of a tree stump. 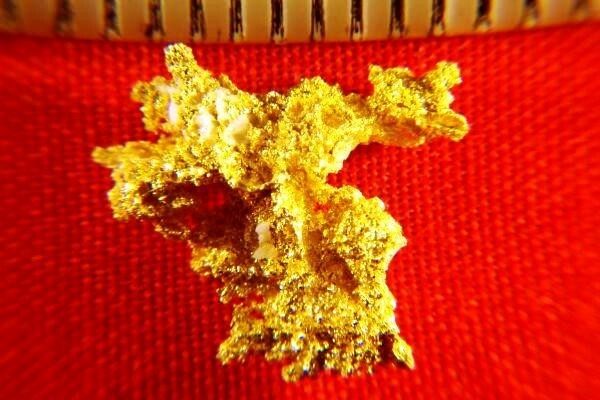 The weight of this amazing gold nugget is 28.4 Grains (1.84 Grams) and it is 5/8" (16 mm) long. 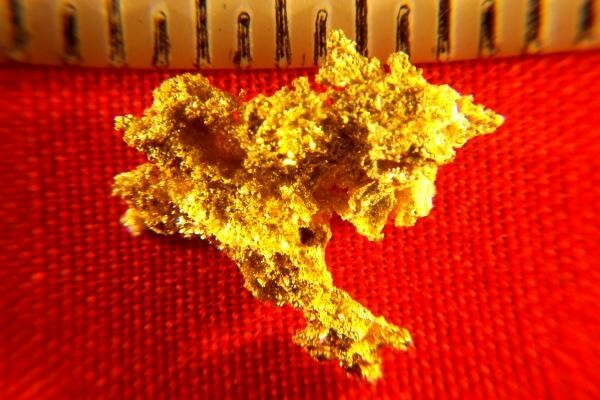 All of my gold nuggets and specimens are hand selected for the best quality and this is one of the nicest Mockingbird gold nuggets that you will find for sale.